Did your Google Business Card suddenly disappear in Google search results for your business domain name? Most likely, your business has too many additional categories defined (more than 4). This can happen when other Internet users suggest edits to your business information, such as adding categories over time. Google business will accept changes from other users over time. It is important to login and review your Google Business listing information to ensure your business information is accurate. Login to Google for Business here. 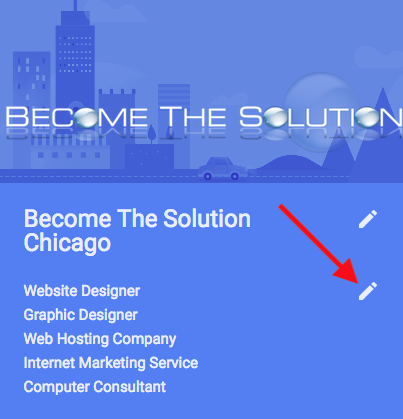 Click the blue arrow next to your business categories to edit them. 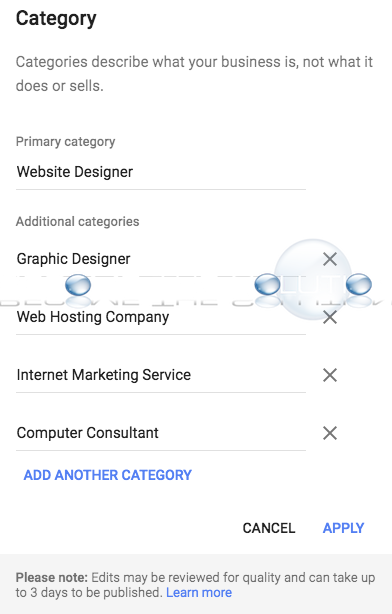 Finally, remove unneeded additional categories your business has and click Apply. 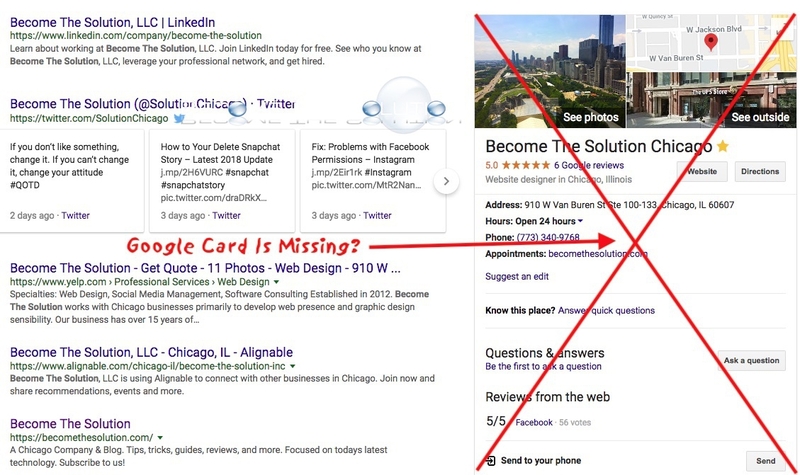 Remove one at a time to see if your Google card reappears in search results (these edits should only take a few hours in our experience). If this does not fix your Google Card from appearing, ensure your business listing has a primary category and correct website added. If you continue to have issues, please use the comment form below to let us know.